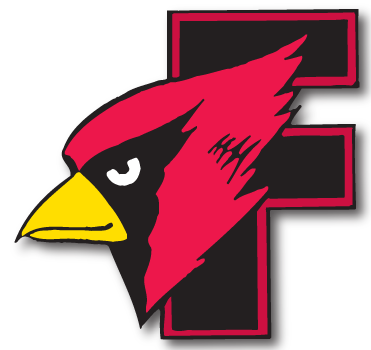 Andrew Stone - WIAA Shot Put State Champion & Discus State Runnerup - Cardinal Athletic Alumni Association, Inc.
LA CROSSE – A year ago, Fond du Lac’s Andrew Stone came into the WIAA state track and field meet as the top seed in the Division 1 shot put and a favorite to win the competition. He left with a second-place medal. It was a disappointing day for the massive Stone, and something he wasn’t going to let happen again. “It motivated me big time. I had a chip on my shoulder this year,” Stone said. “So this year, I had to get in there and win it.” That’s exactly what he did. Stone was one of two Fond du Lac shot putters to walk away with a medal Friday. Senior Colton Wasieleski also earned a spot on the awards podium by placing sixth among the 24 competitors. Wasieleski’s best throw was 53 feet, 4¼ inches which came on the second of six attempts. It was a fitting way for the two throwers to end the season, considering they placed 1-2 at many meets and pushed each other all season long. Stone’s day didn’t get off to the best start as he fouled on his first attempt. But he took the lead with a 63-foot, 4¾-inch heave on his second try and boosted that mark by 4 inches on his third attempt to take the lead heading into the finals. He got his winning throw on his first attempt in the finals. Stone has the chance to walk away with two medals for the second straight year. He is the fifth seed in the discus, which will be held Saturday, and placed sixth in the event a year ago. Plus he has Friday’s win in the shot put to give him a little boost. 2nd Andrew Stone, Fond du Lac, 178-9. 24th Fond du Lac (Ben Schmitz, Evan Bloedorn, Isaac Hayes, Kiernan Koepke), 8:28.38. 8th Fond du Lac (Luke Curran, Ben Schmitz, Hunter Kollmann, Zach Schmit), 3:24.68. 1, Kimberly 74; 5, Neenah 30; 8, D.C. Everest 24; 10, Fond du Lac 22; 12, Stevens Point 20; 17, Green Bay Preble 16; 19, Oshkosh North 11; 25, Plymouth 8; 30, De Pere 6; 35, Shawano 5; 40, Sheboygan South 4.5; 48, Green Bay East 3; 48, Appleton North 3; 58, Merrill 1; 58, Notre Dame 1.